Expovida is an International Conference that takes place in London every year. Expovida’s vision is for unity, worship and training for discipleship and evangelism of the nations. It is a bilingual conference (Spanish and English) and offers teaching and worship, encouragement and transformation. Superbook is a regular guest, and this year our team ministered to the children who attended, showing them two episodes, David and Goliath and David and Saul as well as playing games, leading worship, hosting competitions and quizzes and introducing Gizmo himself! If you’re planning a Superbook event in your local church – get in touch! 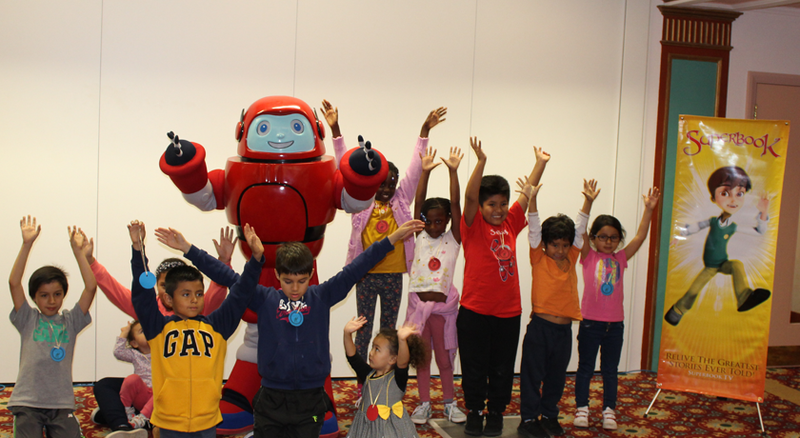 Email us at info@superbook.org.uk or post your pictures on our Facebook page!